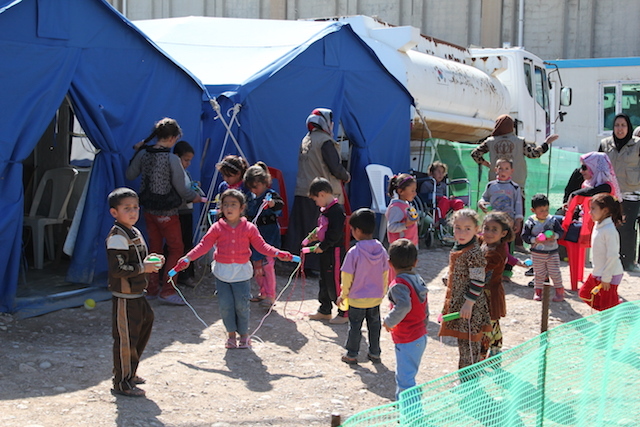 Together, we can sustain thousands of suffering refugees so that they may continue to reflect God’s love in miraculous ways throughout the Middle East. ISIS was in a neighboring town when Faraj got the call. “They’ll be here in three days,” his family warned. “We will stay,” Faraj said, firmly. But when local army officers began to flee the village in droves, the truth of the situation forced its way into Faraj’s reality. There was no one left to protect them . . . it was time to go. 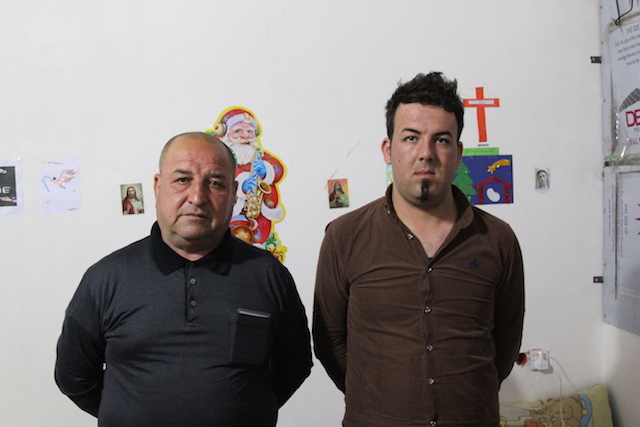 When they reached the outskirts of Erbil, Faraj found that his heart was racing. 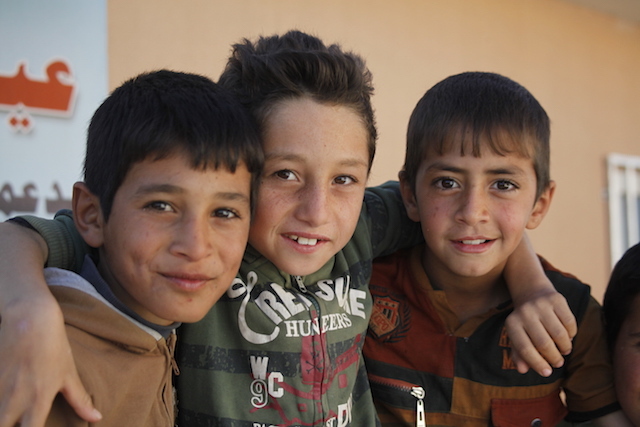 If the Kurdish government refused them, they’d have nowhere else to turn. Faraj inhaled deeply and forced himself to think of something else. Even in the throws of deep, gnawing fear, a strange sense of peace began to work its way into his uncertainty. The soft expressions of the border officials surprised Faraj. “We are Christian,” he said, waiting for their expressions to change. Much to his surprise, their soft expressions remained, and before Faraj had time to give it a second thought, he and his family had crossed over the border into an unending sea of tents . . . they were refugees. In a breath, Faraj and his family were thrust into an entirely new existence, leaving behind their home, livelihood, and every trace of security . . . suddenly, their very identities felt as flimsy as the tent that had become their only shelter. And yet, somehow, in the thick of desperation and uncertainty, a miraculous faith began to emerge. 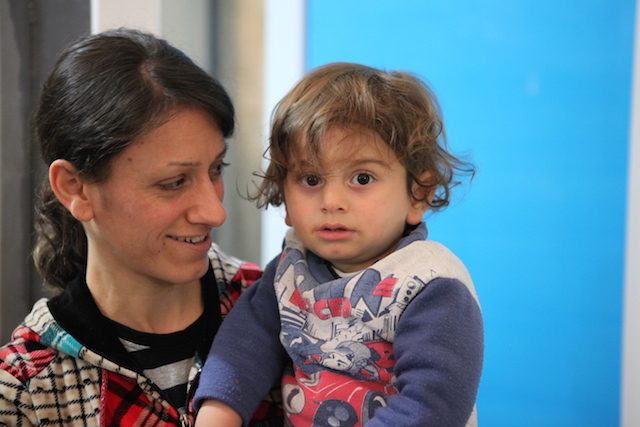 Despite the horrific atrocities committed against thousands since ISIS began their rampage throughout the Middle East, many persecuted refugees are still radiating the love of God through a steadfast faith in His promises—a glorious miracle emerging in the face of evil. Faraj’s words seemed to overflow out of a soul that deeply understood the power of gratitude . . . a soul that has found rest even when his immediate circumstances could quickly lead to despair. It’s not that Faraj is living in denial of these grim circumstances, it’s that his faith is far more powerful. Like Faraj, thousands of refugees have become a testament to the whole world through their steadfast faith—Jesus himself has become their home. When we learn about the evil acts committed against these innocent men, women, and children, it shakes us to our core—a holocaust is unfolding before our eyes. In the face of this gruesome brutality, we might be tempted to believe that evil has already won . . . that there’s no hope for restoration in the Middle East. In the shadow of this lie, we lose our will to fight for our brothers and sisters when they desperately need us. But the truth is that God has planted a light in the hearts of those being persecuted that darkness cannot overcome. Now is the time we must choose to believe in the power of our faith . . . it is one that produces miracles and makes us more than conquerors. We have a God who not only hears our prayers, but who multiplies our efforts to bring healing and restoration to those who are suffering. Together, we can sustain thousands of suffering refugees so that they may continue to reflect God’s love in miraculous ways throughout the Middle East. Let’s follow the example of our persecuted brother’s and sisters . . . Let’s choose faith.